GENERAL LIABILITY: This insurance provides coverage for physical damage to a customer’s premises. This does not cover normal wear and tear on the premises nor pre-existing damages. This coverage is at no cost to the customer. 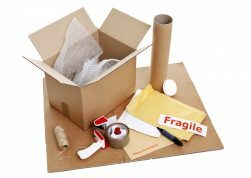 BASIC COVERAGE: This insurance provides coverage for damage to a customer’s household or office contents during transit. The reimbursement is computed at $0.60 per pound per item. It is the option of the carrier to either repair or replace the damaged item. Any claim under the Cargo Insurance must be made in writing within 90 days following the completion of the relocation. This coverage is at no cost to the customer. EXTENDED COVERAGE – TRANSIT INSURANCE: This insurance provides extended coverage over the above-described Cargo Insurance. 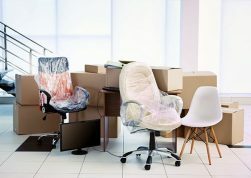 This coverage is for damage to household or office contents from the commencement of the move to its conclusion during transit of such contents. It is the Carrier’s option to elect either to repair or replace the damaged item(s). Coverage is limited to the amount of insurance purchased and subject to a $1,000.00 deductible.The cost of this coverage is to be borne by the customer. Please contact the office for this cost and the cost for lower deductible options.It is the responsibility of the customer to advise MoveStar’s offices at least 72 hours prior to the relocation, that customer wishes to purchase insurance coverage and the amount of coverage desired.Premiums are due and payable the day of the relocation.Any claim, under the Transit Insurance must be made within 90 days in writing following the completion of the relocation.